The Pan-African studies department will change its name to Africana studies after a recent unanimous vote by faculty. The change comes years after students and faculty complained that the name on a graduating student’s degree did not match the department name, said Johnie Scott, chair of the Pan-African Studies department. “Students historically have always wanted their degrees to reflect the discipline, the department or the school they were in, not only here, but in colleges across the country,” Scott said. 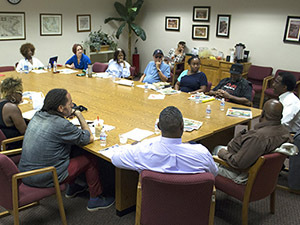 When the Pan-African studies department was founded the degree students received read African and African-American Studies, not Pan African studies, Scott said. The name change has not officially been announced as new letterheads, business cards, etc., dawning the new name have to be finalized. “It’s a whole rebranding of the department,” Scott said. Breanna Irby, senior Pan-African studies major, disapproves of the fact that her degree does not reflect her studies at CSUN. Scott said the new name will be reflected in degrees for the 2014-2015 academic year. Scott views CSUN’s change as a stepping stone to consistency across the board in other African-based departments in California universities. “The fact that being now able to have the degree matchup with the department, we look at it as a sort of forward step, a vanguard step, and hopefully, it opens the door for our sister campuses here within the CSU to do likewise,” Scott said. Other schools in the CSU system like California State Universities Fresno and Long Beach already name their department Africana studies, while other schools such as California State Universities Los Angeles and Sacramento still use Pan African Studies. 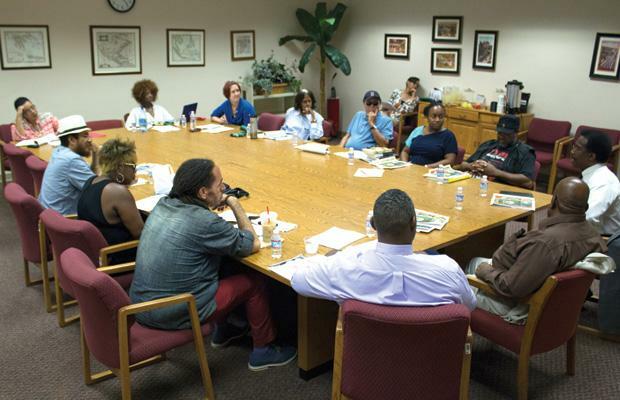 California State University, Fullerton names their African-heritage department African-American Studies. Aimee Glocke, who teaches Pan African studies courses at CSUN, likes that not all CSUs have the same name for their departments. However, Glocke embraces the new name of the department. Glocke feels the name change delay was not “a big deal” for the university. Pan African studies department and ethnic studies as a whole was “born out of protest,” Glocke said. In 1968, the Black Student Union and the Third World Liberation Front staged a strike calling for “a larger black studies program,” according to the SFSU website. A year later, the College of Ethnic Studies began, paving the way for other schools in the United States to follow suit.